When your child is between six and twelve months of age or when your child’s first tooth comes in is when you should visit your pediatric dentist. The first appointment should be no later than his or her first birthday. Early examination, caries risk assessment, and preventive care will guard your child’s dental health. Why should I bring my children in when they are so young? What is the appropriate age to stop bottle feeding your children? When your child is between 12 and 14 months of age, they should be weaned from the bottle. This varies for children with special health care needs. In order to reduce caries risk, it is important when your child begins teething, ad lib nighttime breast-feeding/bottle-feeding should be avoided. Encourage your child to drink from a cup rather than a bottle. At what age should be children's teeth be cleaned? What can I do to help my children while teething? Many children like a clean teething ring, cool spoon or cold wet washcloth. 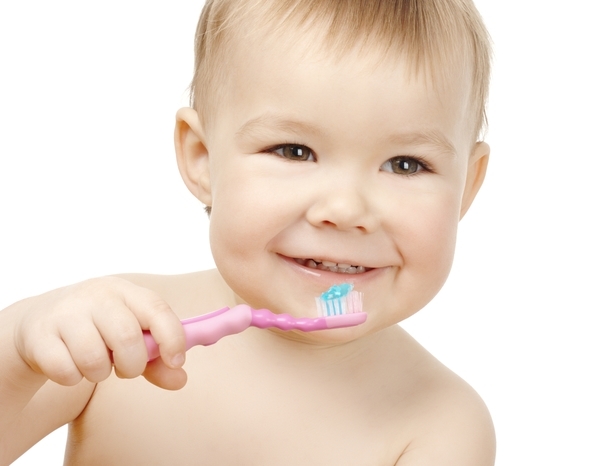 When your child is from six months to three years of age they may have sore gums with the growth of their teeth. Some parents think a chilled ring is best, or simply rub the baby’s gums with a clean finger. We discourage the use of topical anesthetics, including over-the-counter teething gels, due to potential toxicity.